Three years ago I got a Kindle – the first international version that Amazon released. 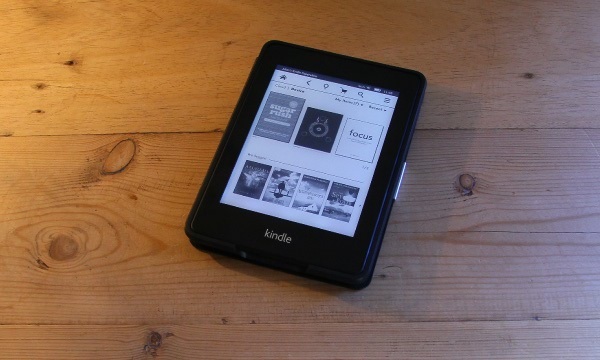 The e-ink screen technology has moved forward over the last three years and I thought it would be a good time to look at upgrading to a more modern ebook reader. 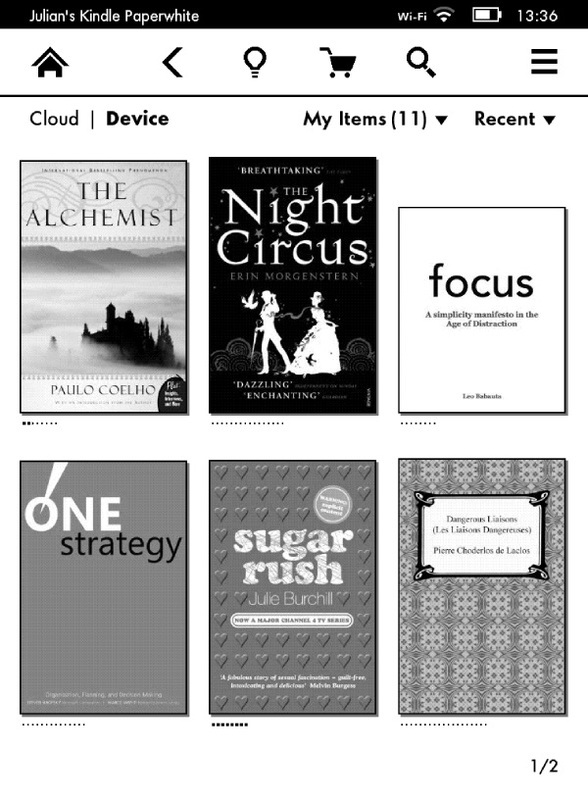 After waiting to see what ‘NewCo’ announced* (very little) I decided to go with what can only be described as the best ebook reader on the market – the Kindle Paperwhite. The Kindle Paperwhite not only has a higher resolution screen with higher contrast, it also has an adjustable front lighting system which produces some fantastic results. I tend to have the light quite low most of the time, which is just right for my eyes to make the screen as legible as possible. I did find that having the screen too bright when in a dark room produced a kind of ghosting effect on my eyes. Though when I have been in a well lit room having the light nice and bright was quite comfortable indeed. 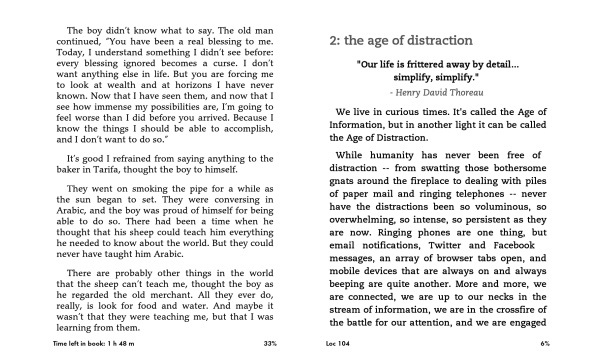 The software has been improved too, offering a new home screen which features large book covers, rather than the textual list of the previous versions. There are also new fonts and reading options, including a new indicator at the bottom which tells you how long there is left in the chapter or book in hours, rather than just a bar. This makes me much more likely to finish a chapter or two in one sitting, rather than just stopping part way through. Like my previous Kindle, I decided to get the optional leather cover. This time the cover includes a magnetic grasp which keeps it closed, and also turns on the device as you open it. My Kindle spends most of its time in the cover, but sometimes it is nice to take it out and feel how thin and light the Kindle Paperwhite really is. Overall, the case was an integral part of my decision to upgrade to the Kindle, and I think it’s something that Amazon has done really well. If you’re looking to get a device dedicated to reading, the Kindle Paperwhite definitely gets my recommendation. From the amazing screen technology and high quality accessories, to the rich ecosystem and availability of reading material, I get the feeling this device is going to be by my side for at least the next three years. * I mostly live in a Windows ecosystem and now that Microsoft and Barnes & Nobile have entered into a partnership, I figured it may be the right time to look at switching my ebook provider. Much to my dismay, the Nook devices that were announced in late 2012 were nothing more than Android tablets designed to compete with the Kindle Fire, not the Metro-style ebook reader I was hoping for. Awesome – I’m nearly finished it, and it’s really awesome. If you have any other book recommendations – please let me know!